A Lifetime of Stories: collected, painted, shared. Let’s refresh our memories a wee bit. In the last month or so, you have graced us with that earthquake. And that hurricane. And then a week-long tropical storm which I prefer to call The Monsoon. I know what you are planning next and I would like to strongly voice my objections. Last year around this time, we were having a little bitty wedding and what did you do to add to the entertainment? You sent swarms of stinkbugs is what you did. Thousands of them. Yes, the ceremony was held in a horse pasture but even the horses weren’t happy. Of course, I admit that the stinkbugs made the wedding rather memorable. I would have preferred, however, that the memories of it be based on, oh, maybe the beautiful bride? The dashing groom? The Mother-of-the-Bride, who struggled to remove her spanx regardless of the line forming outside of the loo? But I digress. Stinkbugs continued to plague us ALL WINTER LONG since they obviously found our house inviting. Were they expecting left-over wedding cake perhaps? No? They were seeking warmth, you say? Imagine! My home may not always be clean and tidy, but we do keep it warm. Old bones require it. Yes, that is blue painters’ tape. See? 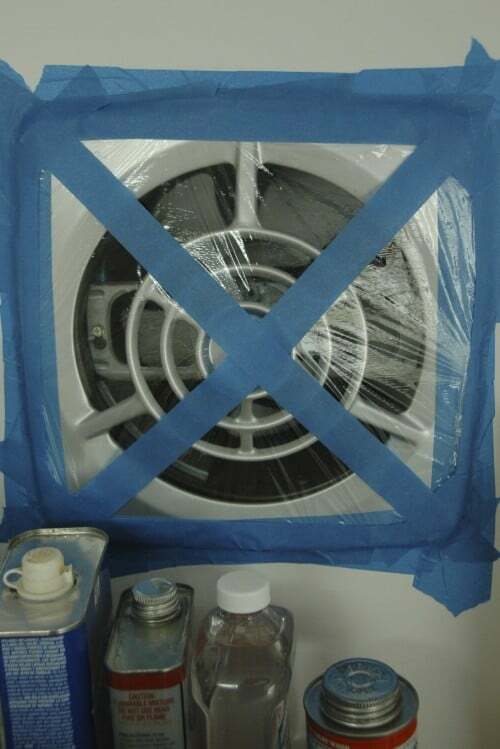 I have sealed off the exhaust fan in my studio. I have also sealed off the access door to the eaves where the heating unit is housed. And I have lots more tape, Ms. Nature. Lots. I may well seal our windows. And our doors! Who needs to come in or out? Not I! AND NOT THOSE STINKBUGS EITHER. I await your reply. With painters’ tape in hand.